Yorkshire, beautiful and not busy. 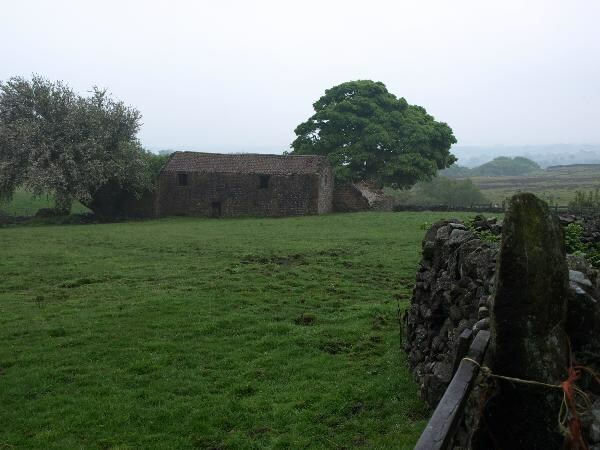 This decaying farmhouse perched on the hillside with views of Stock Beck and Kirkby Malzeard Moors sits isolated on a road to nowhere. Over to moors to the west is Nidderdale. Take your time to savour the isolation and scenery. I've been driven (as a child) and driven (as an adult) on this road for the majority of my life, as a visitor from South Yorkshire, I love the feelings of solitude you get when you continue on towards the Druid's Temple, Ellingstring and Jervaux Abbey. The feeling of being on the edge of the world with the moors on the west and fetile farmland towards the east. It's great here. Look out for the unmarked graves in the field, take some oats or corn with you and feed the band of roosters. Take the Ripon Rowel path towards the stream but do not cross the wooden bridge. Please take care near the stream.